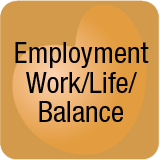 Achieving a work-life balance is challenging for many individuals depending on life-stage: some employees may be raising children, others experiencing health issues of their own, some supporting adult children with the care of grandchildren, or caring for aging parents. Companies experience financial costs related to a lack of presenteeism at work meaning the degree to which an employee is present and attentive to the work at hand or the degree to which the employee’s attention span wanders in favor of worry or focus on family and personal concerns. Other challenges experienced include lost time due to employee illness or caregiving for children or other family members. Poor health costs the U.S. economy billions of dollars each year in lost productivity due to issues of presenteeism and illness. Caregiving due to the number of family caregivers around 34 million and increasing daily who are mainly women, will pose an unexpected and significant financial effect on company employee retention and management in the coming years. Many human resource departments have not fully considered the impact of family caregiving but rather focus on compartmentalized subject matter that includes the impact of children on working employees, the costs of employees with poor health, retirement planning, and so on. In my opinion, most companies fail to realize the larger opportunity of family planning that encompasses raising children and navigating different life-stages that involve the diagnosis of chronic disease, caring for aging parents, and retirement. Some companies outsource these areas to employee assistance providers who offer counseling and support in different areas but who rarely relate the effects of one area upon another. Many women who are family caregivers take time off work to raise children or to care for parents. Some totally opt out of the workforce for several years placing these women at risk during retirement years because of decreased retirement savings and lower social security payments. The majority of caregivers report that they have no other option. The majority of older adults in nursing homes near end of life are women without the financial resources to pay for care at home or in a retirement community. Most women in nursing homes at end of life rely on the government program of Medicaid to pay for their care. Is this really the unconscious path we want for women who dedicate years to being a caregiver? Health, good or poor, is a significant indicator of the quality of life in later years. Many companies support healthcare by offering insurance, providing options for exercise, smoking cessation, weight loss, and other ancillary services. The missed opportunity is that few, if any, companies relate health to chronic disease and becoming a care receiver or a caregiver. Forty five percent of Americans have at least one chronic disease. If you have a diagnosis of heart disease, high blood pressure, diabetes, a breathing condition like asthma or COPD, cancer, or mental illness you have a chronic disease. By the time an employee reaches the age of fifty it’s likely a diagnosis of at least one chronic disease has occurred. The stress of work and daily life contributes to chronic disease. Employees diagnosed with chronic disease today who care for aging parents are likely to become the care recipients of tomorrow. These same employees may struggle with their own health issues in order to remain employed. If you knew today how heart disease advances and affects life forty years from now would you be more attentive to actions you might take today to change a path of poor health, illness and care receiving? Maybe—maybe not. If you knew today the costs of care when older, for example that the average assisted living community costs $60,000 a year, might you be more attentive to planning for retirement, taking good care of your health, or investigating long term care insurance? Because companies give little consideration to education about life-stage planning there is a significant lost opportunity to educate and support employees to think about the short and long term effects of health, financial, and legal planning which are common components of many company benefit plans. What are companies doing to support family caregivers—very little or not enough? Might general discussions about caregiving and care receiving support employees to give more consideration to health and well-being? The medical community treats health conditions; there is usually no discussion about the long term effects of chronic disease or what it’s like to provide or to require care on a daily basis to complete simple activities of daily living like bathing, dressing, eating and reminders to take medications. It is this type of daily care that takes employees out of the workplace to become full-time caregivers for an aging and frail parent. Most family caregivers hide caregiving responsibilities from their employers because they don’t want to be viewed as an employee with a problem. Many employed in the human resource field have little personal experience with caregiving thus caregiving never becomes a focus of an employee plan or support program. Nor would these human resource individuals know how to discuss caregiving and the related effects with employees passing through this life-stage. My own experience at the time of the death of my mother was with a supervisor who had experienced parental caregiving issues; he was very understanding and compassionate and as a result my loyalty to him and the company grew by leaps and bounds. My experience at the time of the loss of my father and brother within the span of 12 months was very different. My supervisor at the time was cold and impersonal and had a complete focus on my career development when I was grieving the loss of two immediate family members and was doing my best to make it through each day. The reality is that employee caregivers sometimes need special care and attention. What might employers to do support issues of caregiving? Rather than having segmented human resource or benefit programs employers should talk more about life-stage planning for raising children, helping adult children with grandchildren, experiencing health issues, caring for parents, and retirement. By linking these aspects employees might be better aware of and prepared for the role of caregiving. The subject of caregiving should be routinely discussed so that employees in this role might feel more comfortable approaching supervisors to discuss options. Flexible schedules for caregivers willing to make up hours missed during the workday to attend to aging parents would be beneficial. While I realize this is not always possible, having an open door policy about discussing “what if” might help employers retain employees who might otherwise opt out of the workforce to caregive. I know many individuals who have given up careers to care for parents and then later regret the decision because of the challenges of becoming re-employed at a much lower position and salary than when the individual left the workforce. The financial aspects are also rarely considered. What if employers explained the long term financial risks associated with leaving the workforce to caregive? Would this make a change in how the employee might look at working an altered schedule? The lack of knowledge about the role of caregiving and the related costs to employees who choose to opt out of work is significant; not to mention the costs related to aging parents who may not have saved enough in retirement to pay for their own care. Why caregiving has not become a more significant subject for corporate attention is an unknown. With the number of caregivers expected to increase substantially in the coming years, companies choosing to take a wait and see attitude might experience a tsunami of unexpected events. After all no one expects to become a caregiver or a care receiver. Pamela D. Wilson, MS, BS/BA, CG, CSA, Certified Senior Advisor specializes in working with family and professional caregivers to navigate healthcare and aging concerns. Wilson, an expert in the field of caregiving, has personally helped thousands of family and professional caregivers since 2000 in her career as an advocate, a care navigator, and an educator. 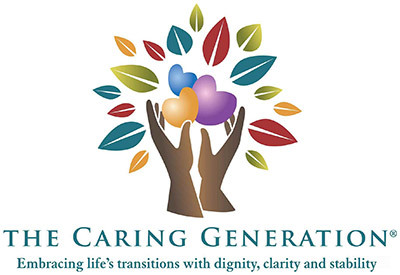 Through her company, The Care Navigator, she is an advocate and service provider in the roles of guardian, power of attorney, care manager, and transition specialist. She was producer and host of The Caring Generation®, from 2009 to 2011, an educational radio program for caregivers on 630 KHOW-AM. In addition to her work at the Care Navigator, Pamela gives back to the community by serving as chairperson of the Community Ethics Committee in Denver, Colorado. Her new book, The Caregiving Trap: Solutions for Life’s Unexpected Changes, is available through all major bookstores as well as on PamelaDWilson.com. You can find her on YouTube, Facebook, Twitter, and Linked In.